Drug smuggling and the presence of federal agents have turned the Tohono O'odham Nation of Arizona into a “militarized zone," Chairman Ned Norris Jr. said. A record 319,000 pounds of marijuana were seized on the reservation last year, up from 201,000 pounds the previous year. Residents who live near the U.S.-Mexico border are afraid to leave their homes even though agents have beefed up security and stay for weeks at a time. "Drug smuggling is a problem we didn’t create, but now we’re having to deal with the consequences," Norris told The New York Times. The reservation shares 75 miles with Mexico. 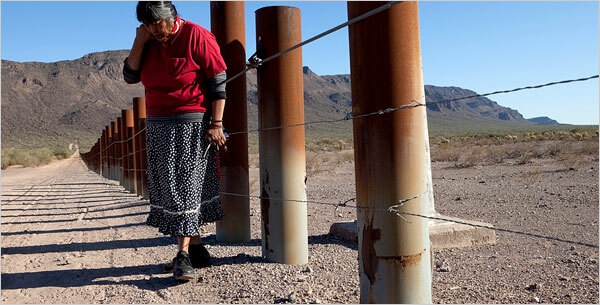 Tribal members used to cross the border freely but changed with the increase in federal law enforcement and the September 11, 2001, terrorist attacks.